ITSec delivers you powerful solutions via simple mobile app development services. For your business success and stable promotion and growth ITSec offers you iPhone, Android, Windows, Blackberry development at highly competitive prices. ITSec provides you a mobile app development service on the platform you want to base your business on. With ITSec app development services, you get an interactive, dynamic and enterprise web app development service offering you versatile, high-performing, feature-packed apps for any business you have and for any area you want to promote. For your custom mobile app, you need secure, scalable and sustainable technology to deliver the right business message across to your audience and meet your business needs with the right app. Our highly flexible and customized mobile app development service starts with a comprehensive evaluation of your business and its requirements. 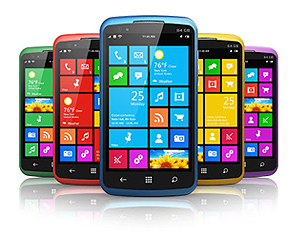 This is a crucial phase, for we devise the right mobile solution for you with cost-effective goals and deadlines. The Android app development service includes the feature application, base porting, performance optimization, integration of Android on several hardware platforms and app testing. 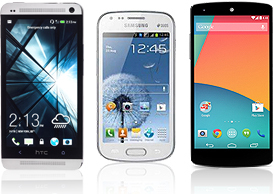 Android has a huge market share therefore ITSec gives you the opportunity to open up your business to a whole new market using the Android mobile platform. 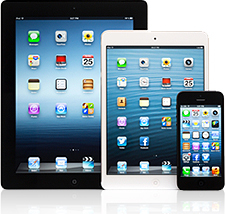 If you are willing to target the iOS audience, then you need a supportive and trained iOS team. Apple has a huge market share and a custom iOS app development service is just what you need to set a strong business platform and promote your business via a custom, unique and user-friendly app in the marketplace. What is not iOS and android is definitely a window or blackberry. There is definitely a market to target here and ITSec helps you to do that via a professional team and app development experts to give you technical excellence throughout.